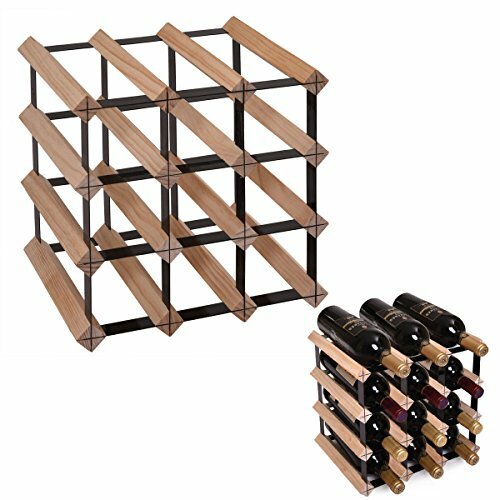 Store, Display and Age your wine in style with this modern and expandable 12 Bottle Timber Wine Rack. This all-inclusive system contains everything you need to create the stylish Wine Rack pictured. Simple to assemble, small enough to fit any style or space, with the potential to expand as your wine collection grows. Made from sustainably sourced pine and toughened steel, these Wine Racks have been designed to complement any kitchen, cellar, business, restaurant or bar. Create the perfect storage solution for your needs;Professionally designed to store your wine just off horizontal.